Here's the perfect gift for a Hunger Games fan for 2013. It's the brand new Catching Fire soundtrack. You won't hear all these songs in the movie but the album was clearly put together to evoke the feeling of The Hunger Games. Not only has it been made to relate to the movie but it also includes many of today's popular singers. Youtube reviewers the Consequence of Sound called the album "a nice curation." My local paper, the Ottawa Citizen, gave it a very strong four stars and said that the clear victors on this record are the fans. The Celebrity Cafe seemed to say what many others have said, when they confirmed that "the feeling of this soundtrack compliments the passionate storytelling" and scored it a resounding 5 out of 5. What do you think? Will you be adding the Catching Fire soundtrack to your collection? 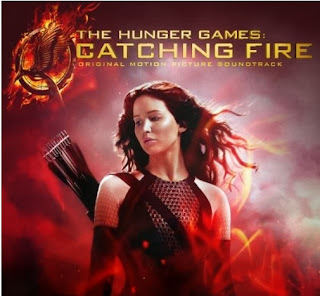 Read more about the Catching Fire soundtrack on Amazon. Find more The Hunger Games: Catching Fire gift ideas.